With all due respect to the winner, Hors La Loi III – who’d finished second in the previous renewal, in 2000, prior to the foot-and-mouth crisis – the 2002 Champion Hurdle is best remembered for the wrong reasons. The defending champion, and favourite, Istabraq, who’d won the race in 1998, 1999 and 2000, was pulled up after jumping just two flights and was never seen on a racecourse again, while the second favourite, Valiramix, slipped up when travelling easily after the third last and was destroyed. Barring the fall of Latalomne, when still in a narrow lead, at the second last, the Queen Mother Champion Chase was fairly uneventful and won, in convincing style, by 7/4 favourite Flagship Uberalles, trained by Philip Hobbs and ridden by Richard Johnson. Native Upmanship, trained by Arthur Moore in Co. Kildare and ridden by Conor O’Dwyer, just snatched second from 66/1 outsider Cenkos, trained by Paul Nicholls and ridden by Ruby Walsh. 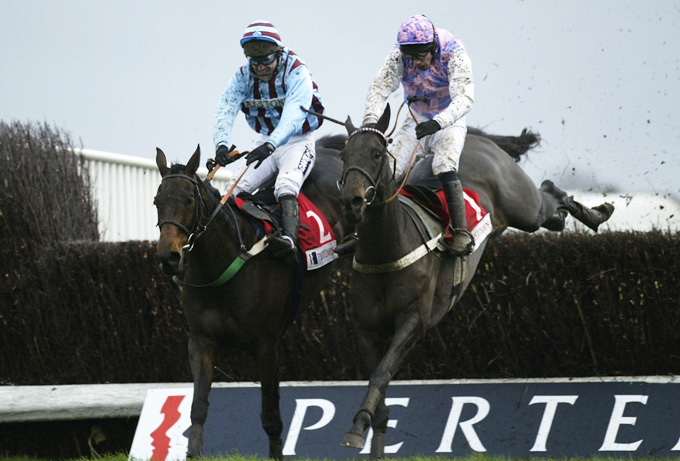 The 2002 Stayers’ Hurdle marked the first appearance at the Cheltenham Festival of French raider Baracouda, trained by Francois Doumen, ridden by Thierry Doumen and hitherto unbeaten on British soil. Backed into 13/8 favourite, just ahead of Bannock Bay, trained by Christy Roche in Co. Kildare and ridden by Charlie Swan, at 2/1, Baracouda led soon after the last flight and only had to be pushed out for a clever, albeit narrow, victory over his nearest market rival. It Takes Time, trained by Martin Pipe and ridden by A.P. McCoy finished third, a further 12 lengths away. The 2002 Cheltenham Gold Cup was notable for the victory of Best Mate, a first winner of the “Blue Riband” event for trainer Henrietta Knight, jockey Jim Culloty and owner Jim Lewis. Having been beaten three-quarters of a length by Florida Pearl in the King George VI Chase at Kempton, Best Mate started only 7/1 third favourite behind defending champion Looks Like Trouble and King George third Bacchanal. However, Best Mate could be called the winner a long way from home, travelling ominously well down the hill before quickening clear in the closing stages to beat the rallying Commanche Court by 1¾ lengths. The Coral Cup is one of the low-pressure races at the annual Cheltenham Festival racing event. 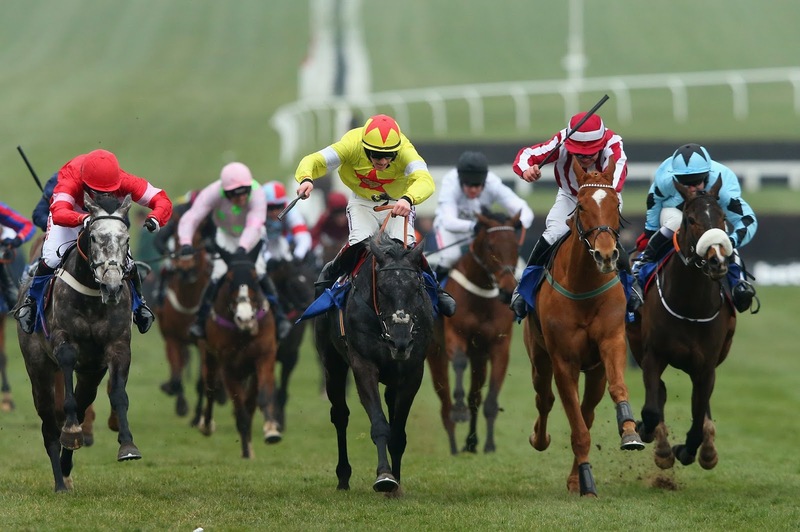 It is a grade 3 race in the National Hunt listings run on Cheltenham’s Old Course. Horses must be at least four years old in order to be eligible for the Coral Cup. Eligible horses compete to cover a 4225 metres (2 mi 5 furlongs) in the shortest time possible. The distance is dotted by ten hurdles that require both skill and timing to navigate. The race, though lower grade, provides a considerable degree of challenges and is a great place to spot horses that have the potential to go on and win great things. That it is a handicap race makes it even more challenging. It was established in 1993 and has retained its name ever since. The famous racehorse Olympian was its very first winner. This earned the competition some very valuable repute. Olympian was awarded a handsome £50,000 for the feat, which was achieved on the back of an Imperial cup win days earlier. Betting group Coral has sponsored all editions of the race and opted to retain the original name even after merging with Ladbrokes in 2015. At four years, horses that compete in the Coral Cup are almost always looking to move on to bigger second and first-grade races. As a result, most do not enter the competition more than once or twice. This is one of the races that has not been won by a single horse twice since its inception. The 2008 race was run on the New Course due to the high winds on the usual path. Seven-year-old Naiad du Misselot took advantage of the half-furlong shorter distance to finish ahead of the park. Another notable event was the absence of competition in 2001 when the event was called off due to the incidence of a foot and mouth disease scare. Despite being open to all horses above four years, five, six and seven-year-olds have been the most prolific competitors. name suggests, the race is strictly meant for amateur hurdlers. Old Course. Bingham’s contribution to the horseracing British culture remains tellable to date, with many of the early features of the competition still recognizable at the festival. The competition takes place on a left-handed turf surface. Here, horses compete for the over £120,000 purse prize on offer. A first place on the podium fetches up to £68,340. The race has gamblers placing stakes on multiple combinations of results and consequently a large number of viewers in the viewing area. It was first held in the 1971 festival, during which it was named the Aldsworth Hurdle.’ The name has changed severally from then on since sponsors began picking up event. Sun Alliance’s sponsorship (1974-2006) was the longest stint by a single sponsor. Consequently, many people who have followed the race over the years still have the name Sun Alliance Novices’ Hurdle stuck to their minds. Neptune Investment Managers are the current race sponsors. Ruby Walsh and Willie Mullins have completely dominated the Baring Bingham race as in the 21st century as jockey and trainer respectively. 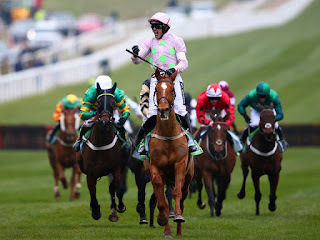 Ruby, a star jockey in various categories, rode Fiveforthree, Mikael d'Haguenet, Faugheen, and Yorkhill to victory in 2008, 2009, 2014 and 2016 respectively. All four horses were trained by Willie and were aged six years, save for Mikael who was five. David Bass-ridden Willoughby Court dethroned Yorkhill to finish first in 2017. Festival. The Champion Hurdle is another race that brings together horses that are just entering the peak performance age and those that have racked up experience with years of competition. strategically as obstacles. Like many other races of its category, the Champion Hurdle has been run on the Old Course since it was first introduced in 1927. It is the highest regarded race in the racing association’s annual calendar. As such, it brings together some of the finest horses in the sport and has proven over the years to be a hit with both gamblers and thrill racegoers. It is one of the races that has crowds going crazy during the first day of the four-day festival. times. Five horses- Hatton’s Grace, Sir Ken, Persian War, See You Then and Istabraq- hold a joint record of three wins each. Each of the five record holders won three consecutive races, a feat which has not been achieved since 2000. Persian War remains the most popular winner in the category, partially due to exploits made in other races. Tim Molony from the 1950s and Ruby Walsh in the 2000s are the most prolific jockeys with four wins apiece. Walsh has especially been dominating the Festival in its entirety over the last decade. His 2016 win atop eight-year-old Annie Power was a spectacular event that was met with a thunderous crowd applause as the mare crossed the finish line. when his horses won three races. He then disappeared only to return in 2009. He has been around since then and trained 2017 winner Buveur d'Air.